Let’s talk subscription boxes shall we? I know that subscription boxes are exploding with popularity these days, I mean if you’re getting food delivered via Uber then why not your lipstick and clothes too? I have yet to sign up for a subscription box for one reason, I’m picky af especially when it comes to beauty products. I try to only use cruelty free...actually I only use cruelty free products and since having Jack I’m even more cautious about what I buy. What we put on our skin is absorbed into our bloodstream within 27 seconds, so it’s about time we start looking at our ingredients. I found “back to basics” on Instagram, they’re a clean beauty and household items subscription box company with an amazing online store, and an actual storefront shop in LA. I knew right then after reading this that I needed to get my hands on this stuff. I was desperately searching for household products that would be safe for my family, especially to use around my baby. 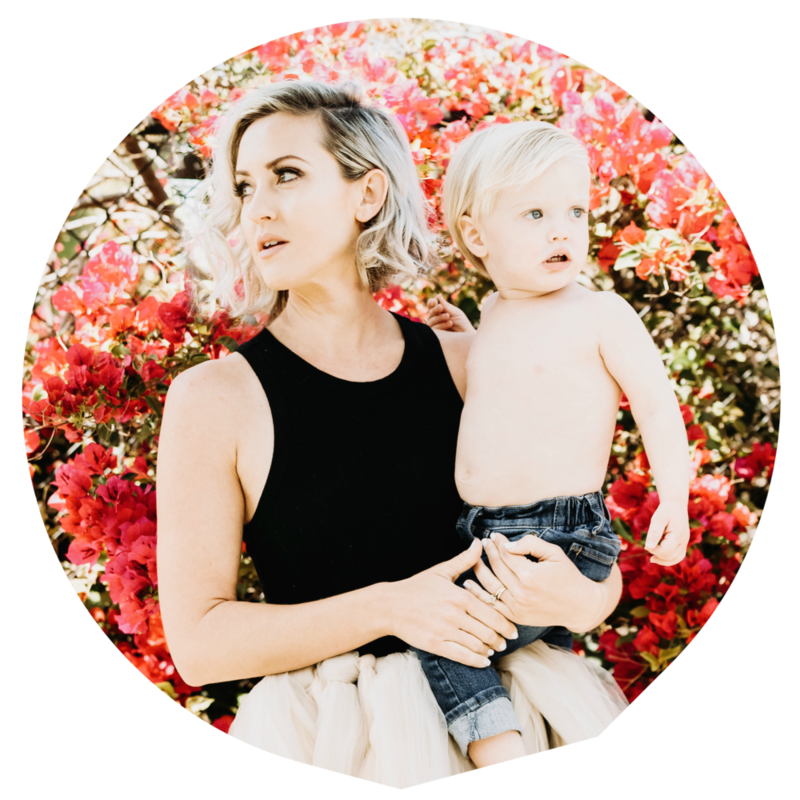 Ashleigh the founder, was so kind and generous when I reached out to her and explained that I had a toddler and I was looking for clean products. Fast Forward and a box arrives at my house full of their most recent items for mom and baby from their online shop. You guys, I was blown away by how much stuff was in there and how truly “clean” these products were. I immediately opened the lip and cheek balm and put it on Jack and I may have swiped my lips with it too! There was also a laundry detergent sample by Molly’s Suds. I thought I was using a “clean and green” detergent but I found out thanks to the info cards that accompany the box, that laundry detergent is often times one of the most chemical ridden products on the market. A. I am able to purchase all of these products from one place, their online shop. B. That there was a little postcard sized information card for each product in the box that did a pros and cons list of their product vs. the “other junk” on the market. There were little facts about that particular product I found so incredibly useful. I freaking love a good detail and this hit it out of the park for me. It’s great to hear someone say “this is a great product try it…”, no I want to know WHY, why is this better than the rest and it’s right there for you to read. Perfection. Kosmatology Body Wash: Antibacterial, option for scent (using organic essential oils) or unscented, full of organic natural cleaning ingredients like shea butter, olive oil, and castor oil. Molly’s Suds Detergent: Contains 5 all-natural EARTH derived, carefully sourced ingredients. It actually cleaned my toddlers messy clothes! And my husband’s lol, it’s formulated for sensitive skin, and it’s allergy-friendly. Erbaviva Organic Lip and Cheek Balm: 100% natural, safe for babies and it’s a 3 in 1 use! Windburn, chapped lips or cheeks and even hands! There’s nothing more annoying as a mom than buying 5 different potions for each skin issue that arises. I’ve also been putting this on my lips! Every month you'll get new, different products that have been carefully selected to make the biggest impact on your toxin-free makeover. You'll receive healthy alternatives to products you use everyday. These products range from the most effective natural deodorant by Bare Bones Body to luxe skincare products by Herbivore Botanicals to non-toxic nail polish by LVX to the best natural toothpaste by Davids to safe laundry detergent by Molly's Suds to glass cleaner by The Optimist Co. that will get your windows & mirrors streak-free for the home! See the products we carry in The Shop to get a better idea of the types of eco-friendly brands & products that we feature. Mama, this is your new one stop shop to get the cleanest safest products for yourself and your babies. There is a whole section of their site dedicated to us!! Click here to get your browse on. Ok, now it’s time for me to reward myself with some Chardonnay and and organic Non-GMO brownie, a girls gotta live.